Collectibles, one-of-a-kind gifts, anything unusual that relates to motoring. This section is an auto enthusiast's dream. You won't find these items in a parts store! 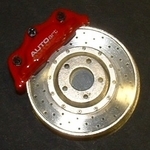 One area of interest is our Auto Art Accessories. A one-of-a-kind collection of everyday items in the shape of automobile parts! 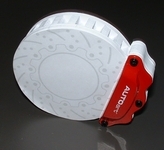 Just think of the collection as auto parts for your kitchen, office or den that you can use! Each one makes a great gift and is sure to be the topic of many conversations. 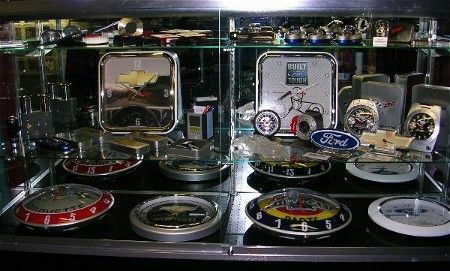 Awesome clocks, beautiful watches, one-of-a-kind auto memorabilia. 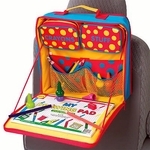 This section showcases great gifts, toys and home decor items. The clocks are one of the most popular areas on our site. The extensive selection is growing as we search for new and unusual designs. Whether you are a racing fan, truck or car enthusiast, the logo clocks and watches will appeal to your fancy.